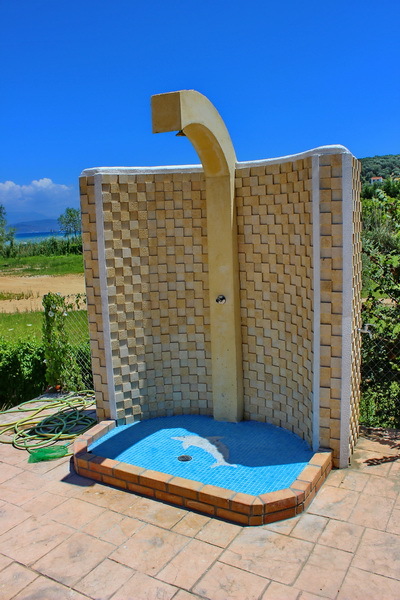 The small 3-star complex is located on a hillside in the beautiful holiday resort of Kassiopi. The New Apartments and the Main House with the tavern are directly on the sandy beach. The other two houses are located just above the shore road. All houses have a swimming pool with a children's pool. Sun beds and umbrellas are available here to all guests free of charge. 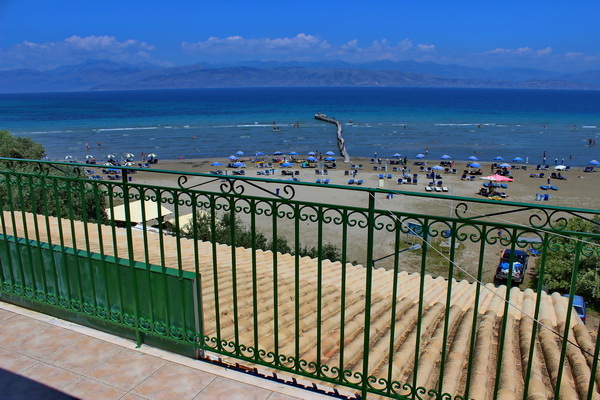 In the main house, located right on the beach, the tavern is located on a terrace facing the beach and with fantastic views of the sea and the mountains of Albania. In the house there is a lounge with a TV corner. Guests can check and send emails on the provided computer. There are 7 two-bed studios and 7 four-bed apartments. 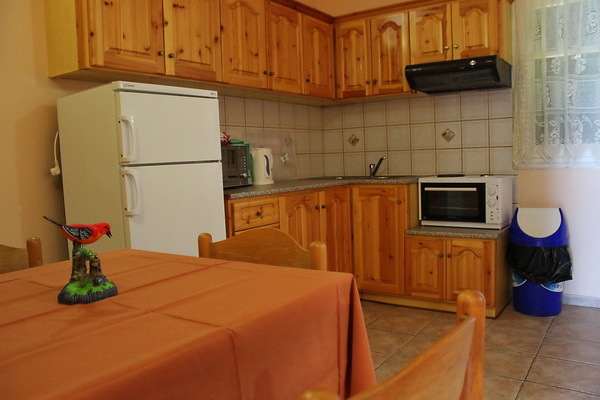 The studios for 2 persons and are equipped with: a combined lounge/bedroom, air conditioning, kitchenette, and bath/WC. 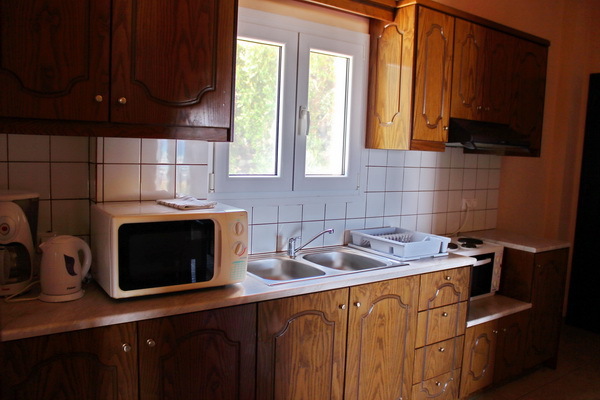 The apartments for up to 4 persons have 2 separate bedrooms with the same amenties. Half board (on request) includes a continental breakfast and an evening meal in the tavern.